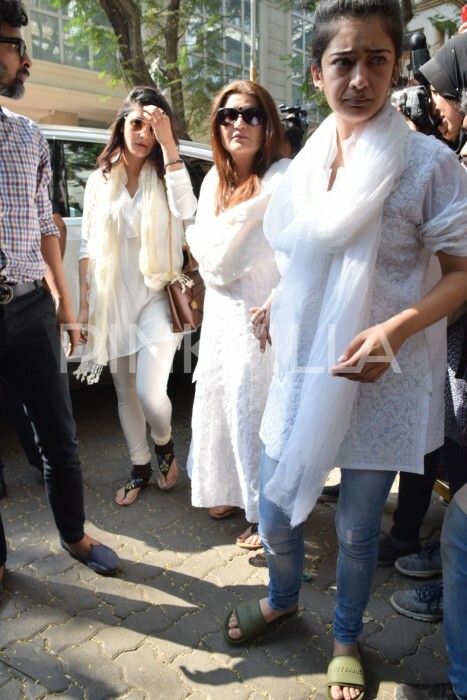 Sarika, Akshara and Shruti reached Boney Kapoor’s residence to condole Sridevi’s death. 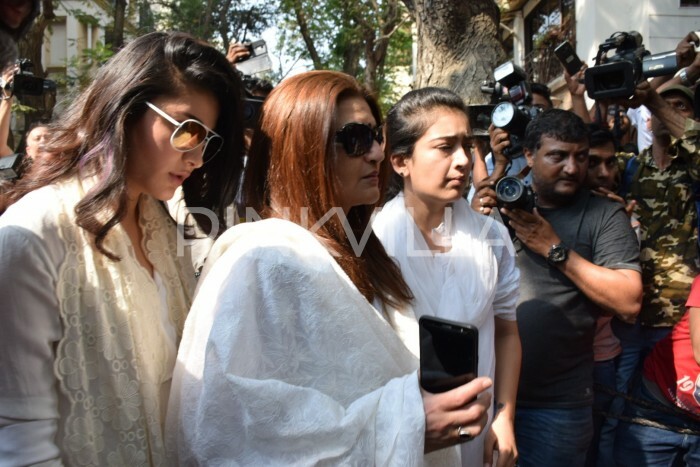 Veteran Tamil actor Kamal Haasan’s family —Shruti, Akshara and ex-wife Sarika– was spotted earlier today at the late Sridevi’s Mumbai residence where they had gone to meet the grieving Kapoor family. Close acquaintances of the ‘Last Empress’, they seemed quite sad and were in a sombre mood. Haasan was one of Sridevi’s first co-stars and shared an awesome rapport with her. The two starred together in films such as Moondram Pirai and 16 Vayathinile to name a few and left fans spellbound. Once while talking about the picnic scene in Moondru Mudichu, she had said that they had a lot of fun during the shoot and it turned out to be a memorable experience. “Instead of saying ‘Poitare Poitare’, I started yelling ‘Pootare Pootare’ (a colloquial usage). Kamal sir was holding on to the boat and laughing so much at this that the boat was shaking. 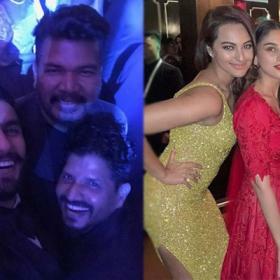 And then the Director Balachander was yelling and asking why the boat was shaking,” she had said. Interestingly, shortly after news of her death broke, Haasan had tweeted that it was a big setback for him as he had seen her evolve as a person. “Have witnessed Sridevi’s life from an adolescent teenager to the magnificeint lady she became. Her stardom was well deserved. Many happy moments with her flash through my mind including the last time I met her. Sadma’s lullaby haunts me now. We’ll miss her,” he had said. He had also released a video message and offered his condolences to the Kapoor family. “My deepest condolence to the family, Boney and the children. Hold on, hang in there, Boney. I am sorry,” he had added in the video. Interestingly, Sridevi’s last South film was Puli, which did not do well at the box office. 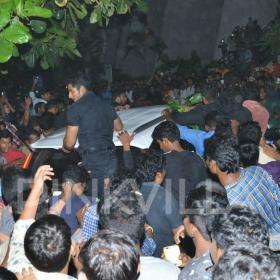 In it, she was seen alongside Vijay and Shruti. true honest folks. keep sri death alive. FOUL PLAY!!!!! Remarks like this makes them take so many treatments, injections and all. 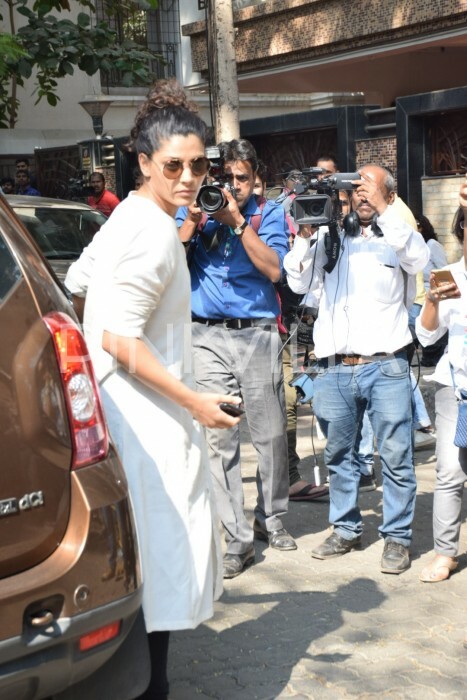 She is not in a movie there for us to comment on her appearwnce, she looks healthy, is that not enough. In such close up everybody without makeup does so. Wish other had the same thinking as urs. The curly haired one is Saiyami! This is an example of evolved thinking which sadly most of the people don’t have. Well said! True….right way of thinking! Let’s ease the pressure off us girls!!! Why what happened to her face? Let her look 100yrs old,none of anybody’s business.